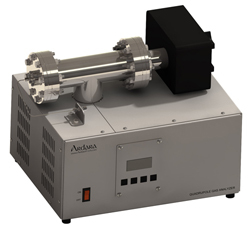 Ardara Technologies L.P. is a leading designer and supplier of mass spectrometers and components that go into custom mass spectrometer systems. We offer a full line of products and services, including electronics modules such as Optics Power Supplies and RF Power Supplies and Quadrupole Power Supplies, as well as vacuum hardware such as Quadrupoles, Ionizers, Chambers and Flanges. 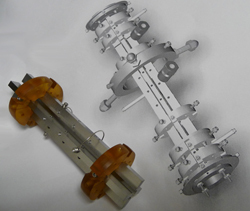 We also design and fabricate integrated systems such as our benchtop quadrupole gas analyzer, and custom ESI-q-TOF systems. Our Applications page lists some of the applications where our components and systems are used. Our Products pages list our current product offering, along with brief descriptions of the individual products. The Downloads page on this web site provides easy download for a large number of our technical notes, which are re-formatted versions of posters presented at recent ASMS conferences. We also provide the current revisions of our operating manuals on this web site in our Manuals page.